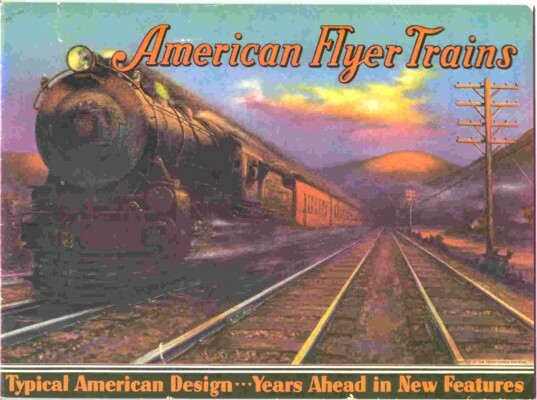 1934 American Flyer Catalog Reprint by Heeg (JOB714) Mint Condition - $20.00 : Olson Hobbies, Welcome To The Train Page! Mint condition in full color.. This is a reproduction from 1975 made by House of Heeg. Some of the products shown in this catalog are the 3115 Jeffersonian Passenger set, 1378 Ambassador Streamliner, and 1442 RCT Stadium Passenger. The larger Standard Gauge includes the President Special with 4693 Steam, and #4689 Electric. A complete line of transformers, rolling stock in O Gauge and Standard Gauge are also shown.